You know those moments when that must-have pair of shoes or one-of-a-kind bag appears in your Instagram feed? How about the bummed out feeling after, because you can’t quickly buy what you see? We’re all familiar with the longing that comes from countless hours scouring the Internet tracking down the object of our desire. Well to that we say, no more! 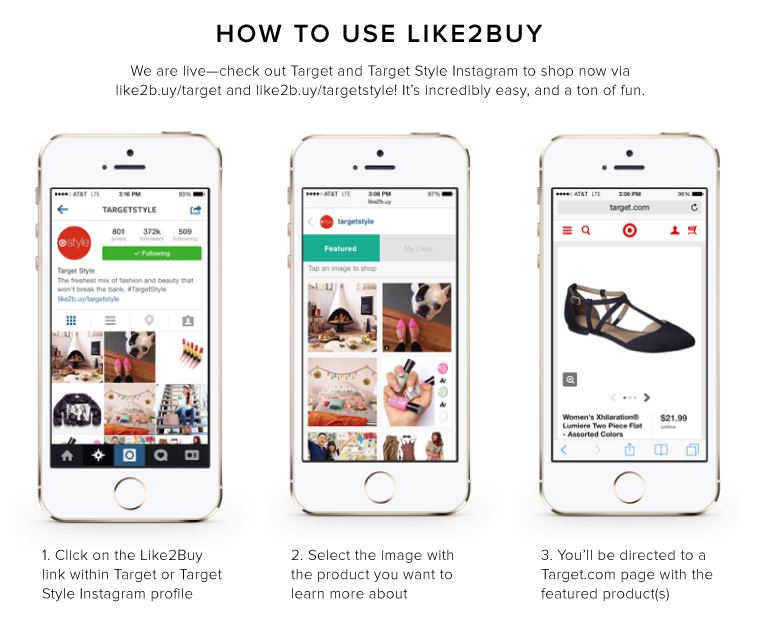 Today, Target’s announcing a real Insta-game changer with the adoption of Like2Buy — a new product from leading visual marketing platform, Curalate, that lets Instagram users easily buy products featured in photos from participating brands. With more than 300,000 followers a piece, Target and Target Style have been known to garner thousands of likes on a single Instagram. Like2Buy gives Target the chance to turn all those ‘likes’ into actual purchases. Instagrammers have been calling for platform shopability for a long time; Target heard the call and delivered. 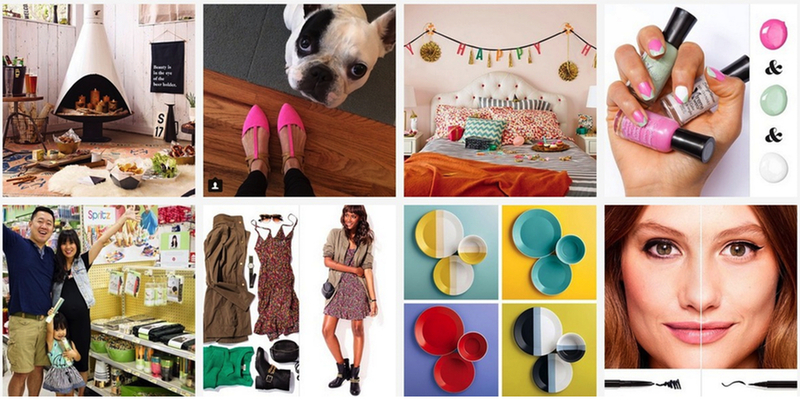 From a place “where products come to play,” Instagram is now a place where Target fans come to shop. That deserves a double tap.